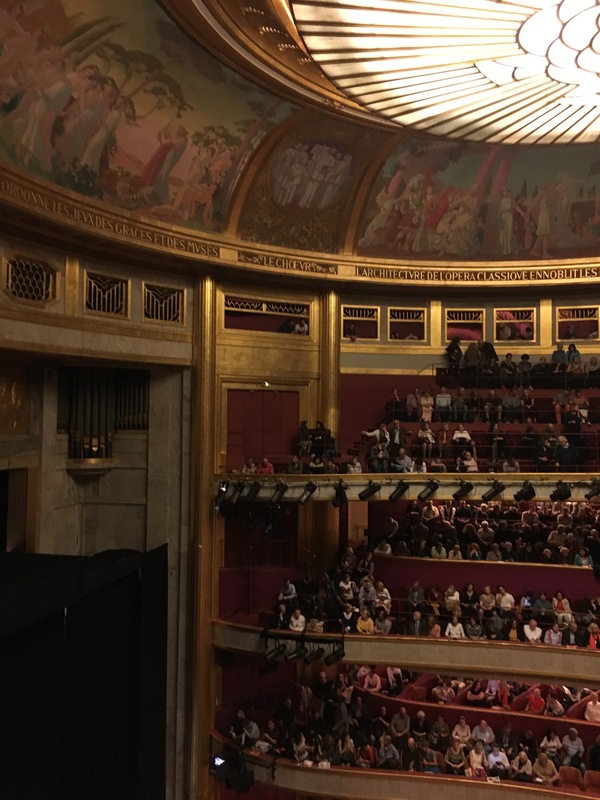 It was unplanned, spontaneous decision triggered by email received on Friday when packing for my trip to Paris for two first performances on Opera de Paris subscription package – “Eligabalo” at Palais Garnier and “Samson et Dalila” at Opera Bastille. The message stated that due to strike announced the performance of Samson et Dalila might be cancelled and further information will be available on Sunday only. Considering an option of spending nice idle Sunday in Paris without opera did not seem enticing, thus I have re-evaluated several alternatives: buying a new return ticket, cancelling the trip as such, and looking for substitutes. Till then Norma was high on my “coveted” list, particularly seeing Cecilia Bartoli in the role as her recording is the most played album on my phone, but timing did not work out either for Salzburg, Edinburgh, and now Paris. So, could it be a sign from above? Arriving in Paris early Saturday morning, I have not yet decided what to do, so after arrival by RoissyBus to Opera and gulping down coffee, I checked Theatre des Champs-Elysees website to find out that there might be 15eur tickets sold by the box office for Sunday performance, and went to check it and as there were two available tickets in inexpensive price category I got my backup plan arranged. With the ticket in my possession, sitting at Cafe Francis with a view to Eifel tower and sipping wine, I made the decision to get into Samson at 14:30 and leave after Act2 to rush to TCE. Sunday morning was unbelievably beautiful – sun shining ānd temperature rising over 20c, perfect Sunday mood for market browsing and tasting experience, just next door from my convenient AirBnB apartment. The time to go for opera was there since also email received stated that Samson performance will go on as planned. Arrival did not indicate any complications, and when 10 minutes after scheduled performance start there were just a few musicians in the pit I started to worry as my plan was collapsing by each minute. Then intendant came out and made announcement in French which was met by disappointed grunts by the audience that the start will be delayed by 15 more minutes and this is the way the strike affects performance. So, at that moment it was clear that I could stay 15 minutes into the second act at most, which would not go till Mon coeur.. 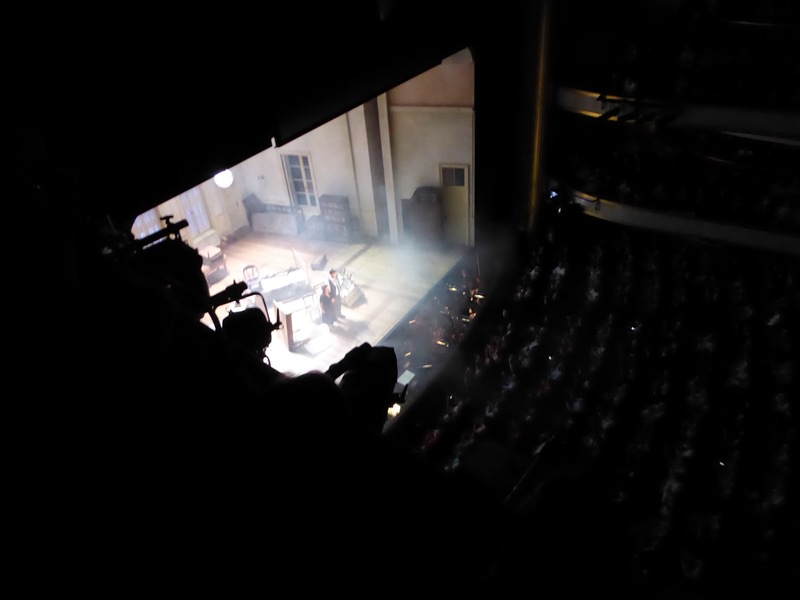 The seat was on the side of the second balcony with significantly limited stage visibility, thus most of the staging and concept was not comprehensible and I did concentrate on the vocal performance. Actually, none of the performers were known to me except Cecilia Bartoli and thus the performance brought me two new names to watch for – Rebeca Olvera as Adalgisa and Norman Reinhardt as Pollione. There has been a lot of talk about a peculiarity of Bartoli’s voice, beautiful in timbre, agile, but not very large so filling up large theatre does not really suit her very well, thus why she has brought several of her signature performances to smaller houses. The timbre live is as pleasant and even more enjoyable than in recordings, and her full emotional immersion into role overwhelms the auditorium, and it is true that she gives her all to the performance without holding back or playing safe. Her dramatic talent sparkles especially when she attacks Pollione – fully convincing us that she means all the threats. Rebeca Olvera as Adalgisa creates wholesome and vocally exquisite character of young, lovestruck girl, a mix of naivete and loyalty. She has very clear, silvery timbre and can easily project over the orchestra. Her beauty of tone is best heard in Act 1 duet with Pollione , Act 1 duet “oh! Rimembranza!” And Act 2 “Mira, o Norma” and “Si, fino all’ore estreme” duets. I believe that if smartly developed her voice will grow into a very fine instrument. Norman Reinhardt as Pollione seemed unconvincing in the beginning of the performance and I had some doubts if he could rise to expectations of the last act and dramatic portrayal of internal conflict. He has pleasant timbre, well-flowing voice and gradually opened up, reaching emotionally touching and dramatically convincing acting complemented with heartfelt singing. Expected more from Oroveso (Péter Kálmán), his vocal performance was less convincing than from other members of the ensemble and might have contributed to the development of the story more. 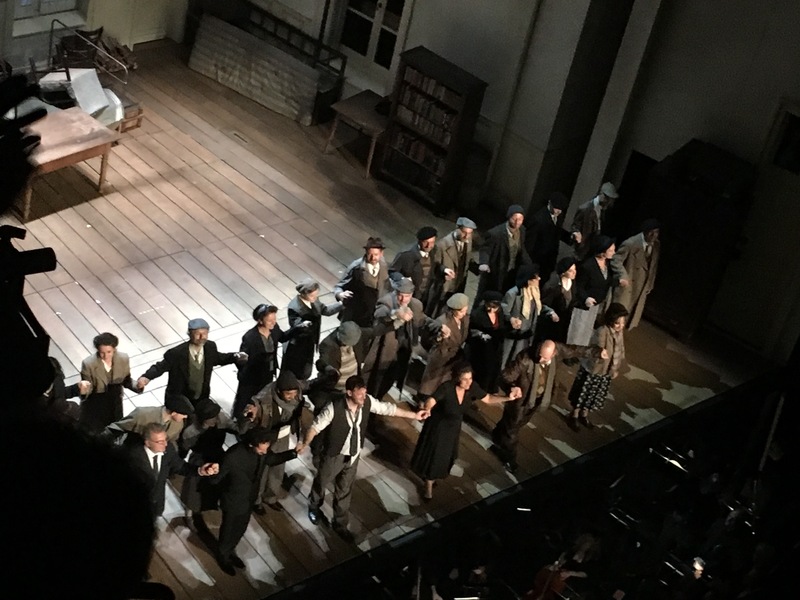 The staging concept has been around for some time and received quite a lot of criticism, and one thing I could agree to is not clearly defined role of Norma in the setting of French resistance of 1940s, and justification of rituals, since otherwise the conflict between opressors and conquered tribe exists regardless of timing. The finale with self-autodafe in the room which is cleared by all and lit up by arsonists is spectacular but creates a lot of smoke both in literal meaning as well as cognitive space. Going back home on Monday morning and listening to Norma recording, reviving memories of the last night. Still, nothing compares to live performance – that electric charge in the air in the auditorium, the synergy of the stage and the pit, and enthusiastic cheering and applause after the performance, and being part of that emotional hype. The enthusiastic outburst of the audience after performance clearly demonstrated that Cecilia Bartoli has conquered the audience unquestionably by her unconditional dedication and immersion in the role. Experience worth to repeat and treasure! I hope very much that Norma with Cecilia Bartoli will get to DVD as well as such emotionally charged, fully absorbing performance deserves to live beyond our memories.